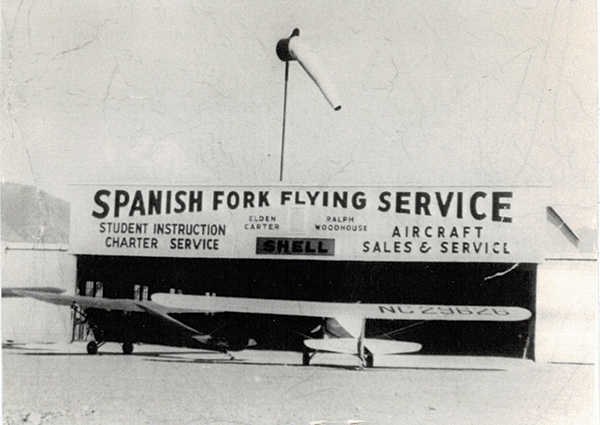 Spanish Fork Flying Service provided plane repairs, crop dusting, flying lessons and plane rides. Woodhouse Field pays tribute to its legacy. From his pilot’s seat, Tom Woodhouse has had a bird’s eye view of Utah Valley being harvested from farmland to urban center over his 74 years. 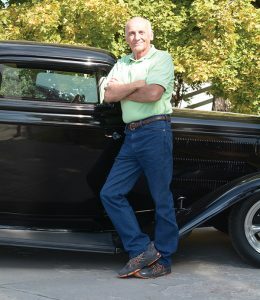 Tom recalls the days of going to the grocery store and leaving the keys in the car, the kids in the backseat and the windows rolled down without a moment’s hesitation. 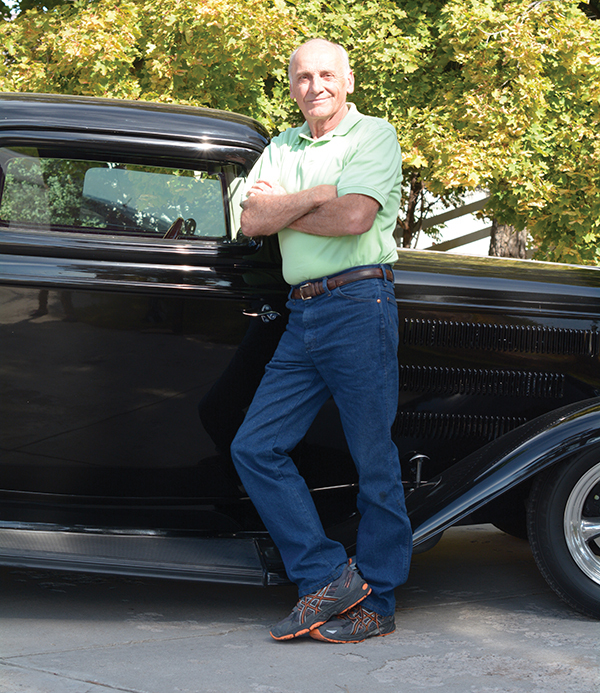 Even though those times have changed, his love for Spanish Fork remains the same. 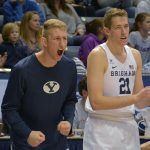 The Woodhouse family roots run deep in south Utah County. The Spanish Fork-Springville Airport is called Woodhouse Field after Tom’s father, Ralph Woodhouse. Tom’s love for planes led him to follow in his father’s aviation footsteps. Tom’s father founded the Spanish Fork-Springville Airport in the 1930s (which is still open today) alongside a family business known then as Spanish Fork Flying Service. The company provided flying lessons, repaired planes and crop-dusted fields across the West. On the weekend, the company offered airplane rides. “Aviation was a new thing and everybody wanted to see it,” Tom says. Typically, the airport rides involved circling the town and then landing in an old hayfield. Not only have airports changed since Tom’s day — the Spanish Fork-Springville airport had a grass runway — business practices have also adopted a new flight pattern. 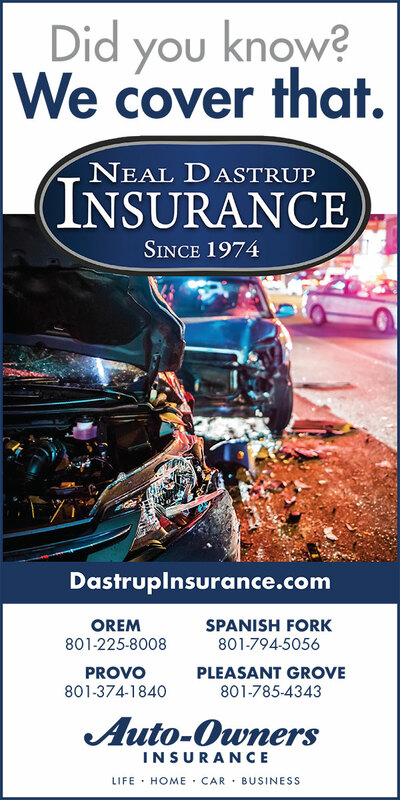 In the early days, the company operated on trust. For example, when a farmer requested crop dusting, the farmer would simply phone Spanish Fork Flying Service. The planes would fly out and dust the field and then months later after the harvest, the farmers would pay for the service. No written contracts were necessary. The community trusted, encouraged and supported each other. In the 1950s a fire at the airport caused the loss of nine planes and the need for the airport to rebuild, which brought the community together. As Tom reflects on the growth over the last three-quarters of a century, he thinks about how the airport has grown from three hangers to 100. He glances out his front door and notices many cars passing by, which only used to happen once or twice a day. He describes the farmlands now transformed into commercial buildings and neighborhoods. But even with all of the change, some of the most important things have stayed the same.